First- the nature of the law itself, any unjust law implemented by the police could lead to confrontation with the public. What we are concerned with is the rational Law that abides by justice and conforms to human rights standards. Thus, it is important to determine the nature of the law, and answer the question , ( What should a policeman do if an article of the law allows or pushes him, to behave in a manner that is regarded as unjust in the eyes of the rest of the world? ) For example, the right to protest?and assemble is granted internationally, and if this right is not prohibited, the policemen should have no problem. However, if protesting is banned – which is the case in some countries- the police might resort to dispersing the crowd by violent means which could include shooting. Second- re-considering the nature of the relationship between the society and the police in the context of the way each of them view the other , for example in some countries people perceive the police force as an intimidating and aggressive group which terrorises people and supports despotism. They do not believe that the police are there to protect the security of the individuals and public interest or protect their rights according to the law and constitution, while the police in the said countries view some?elements of the community as though they are suspects or criminals who have no rights and should be punished by the police itself and not through the justice system. Third- If the citizens enjoy their full rights based on the law and constitutions and international bill for human rights, they would obviously not feel the need to rebel or resort to violence. If anyone did so, the public would not side with them or condone their actions. Law enforcement personnel, mindful of their duty towards protecting the citizen’s rights are required to deal with any breaching within the law and not through violating it themselves as this will be regarded as another contravention to the loc?l laws and regulations, the Constitution and to the human rights themselves. Law should be respected and the job of a policeman is to protect the law and deal with those who breach it. However, rectifying a mistake by committing another will only lead to more serious complications, even if the guilty policeman was shielded from prosecution. Dealing with violators does not require partial or total deviation from the law. 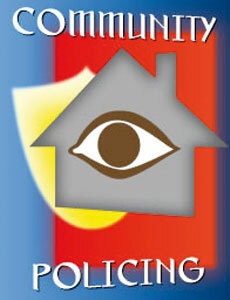 In fact violating human rights by the police makes enforcing the law even harder. 1/ police excesses would inflame the civil unrest rather than calm it down. It will also alienate the police from the community thus jeopardising any prospect of a much needed cooperation between the two in the field of crime prevention for the sake of marinating the civil peace. The policeman should be seen by the community as the guardian and protector of human rights, but if transgressions continue, the police force will be viewed differently. 2/ transgressions by law enforcement officers are more serious than those committed by ordinary individuals, that is because they undermine public trust in the state apparatus and weaken the latter’s ability to perform their duties. Justice would then be sacrificed and pushed out of the reach of deserving victims. The innocent becomes guilty while the guilty one is released. Fair and effective trials falter, as the judiciary loses its respect and the State its prestige. law enforcement officers’ respect for human rights would not only earn them the respect of the community, but also its gratitude and national pride , that is because , then , the law would have been upheld and the commitment to the citizen’s rights have been fulfilled and also because the police force has integrated well in the community by not imposing itself via coercive means and the instilling of fear , but rather through a genuine desire and effort to establish a relationship with the community that w?uld earn it the latter’s respect and acknowledgement of the significance of the responsibilities it shoulders . The community, by assisting the police force in conducting its duties, demonstrates the conviction that there is a shared destiny and a mutual benefit and interest in working together in the field of crime prevention.